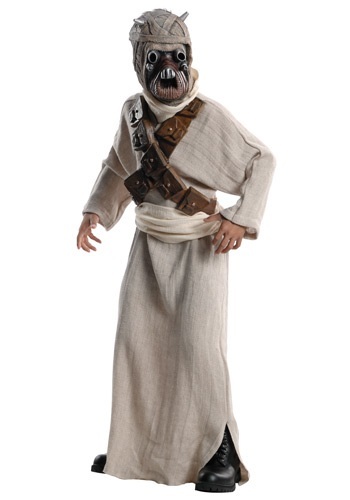 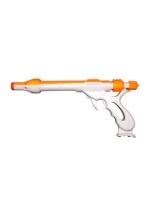 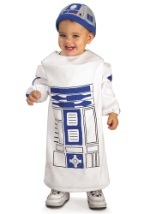 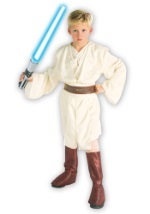 Is your child ready to be a Tusken Raider from Tatooine? 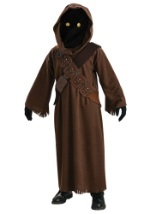 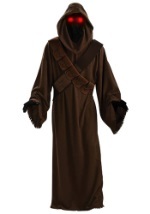 This costume includes a long tan mesh sleeved robe. 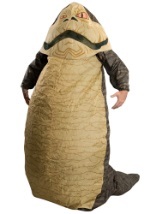 It has an attached sash at the waist and polyfoam bandoliers around each shoulder. 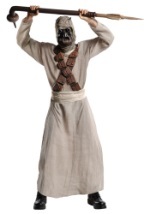 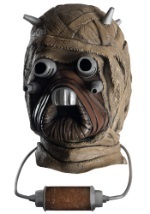 The face mask is molded to look like the one worn by the Sand People.